There are about 1111 people left in long-term limbo because we as a nation have failed for years to meet our international commitments. They are ‘imprisoned’ on islands from which there they have no immediate hope of physical or mental escape, surrounded by a sea of continuing uncertainty. Australia signed the 1951 Convention on Refugees – which means that Australia has agreed to abide by its provisions. One basic tenet is the right of a person to seek asylum: that is to try to claim refugee status. All countries which signed the Refugees Convention are obliged to assess such claims. The convention accepts that, as these people may be fleeing persecution, they may not arrive in a conventional manner. For example they may arrive by boat without visas. Not all countries have signed the Refugee Convention, which means that they do not have a mechanism to recognize refugees. None of Thailand, Malaysia or Indonesia, all transit countries on the way to Australia, have signed (or “acceded” in the formal language), and thus asylum seekers must move to a country where their claims can be assessed. In the whole of the South Asia/South East Asia region, only Australia, Cambodia and the Philippines have acceded. A person who claims asylum is known as an “asylum seeker”. The asylum seeker undergoes a refugee status determination, conducted by the government of the country in which they claim asylum. If they meet the grounds for being a refugee – that is, they can prove individual persecution on the grounds of race, religion, nationality, political opinion or membership of a particular group – then they are granted refugee status. For this strict definition, it is not enough that a person has fled war, let alone environmental catastrophe. In Australia the recognition process can take a year or more. If the asylum seeker is not granted refugee status, then there are a number of avenues of appeal, which can last up to five years! We have a responsibility to protect their physical and mental health while they are in our care. 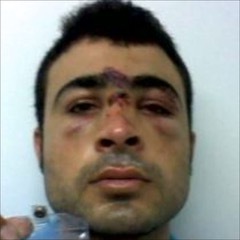 Photo: A refugee bashed during riots inside the Australian detention centre on Manus. If an asylum seeker does not meet the strict criteria for gaining refugee status (that is, they are not formally designated as “refugees”) they are no longer of concern to the asylum country government. That government has no obligation to protect these people. 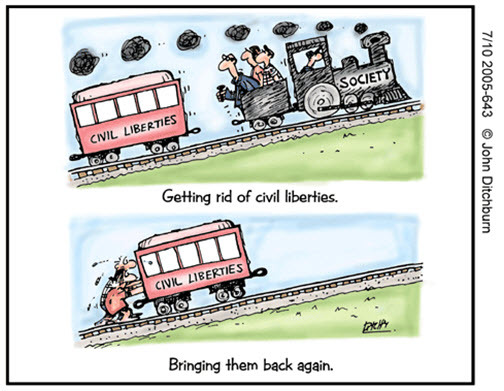 They may return to their own country (or in some cases, disappear into the country where they claimed asylum). The International Organisation of Migration (IOM) has a worldwide scheme to help these people return to their home country. Given the large increase in asylum seekers arriving in Australia from 2010, (48,909 arrived by boat between 2010 and 2013: previously the average had been under 200 a year) the government modified this framework in substantial ways, including mandatory detention and by introducing offshore processing. The UN High Commissioner for Refugees has been critical of these modifications. In total Australia has transferred 2125 people to Manus (770) and Nauru (1355) since 2013. Of these, some 624 have voluntarily returned to their own country. on Nauru, there were 154 (some of whom have presumably returned to their home country). Some of the numerical discrepancy will be due to deaths, transfers to Australia for medical reasons, etc. There are three main countries of resettlement throughout the world with a regular intake quota– the USA (40-80,000 persons), Canada (15,000) and Australia (15,000). Between them, they accept well over 90% of resettled refugees. All other resettlement countries take less than 1000 resettlement cases each annually. In fairness, some of these countries receive many more applications for refugee status from people who have already entered the country. Sweden, for example has a resettlement quota of 750 annually, but in 2016 also received 29,000 applications for asylum from new arrivals made when they were in Sweden. The process of resettlement is not fast. In reality, it is painfully slow. For example, in September 2015 the then Prime Minister Tony Abbott announced that Australia would accept 12,000 Syrian/Iraqi refugees on an emergency basis. That intake has just concluded two years later, in October 2017. According to US government websites, processing time for resettlement to the USA usually takes 18-24 months from initial referral. Processing is orderly: a country plans in advance how many and from where it will accept refugees. The relevant Department seeks approval in advance from their parliament of numbers and geographical composition of intake and consequent budget for each year. Parliamentary approval is the political step in what is otherwise a regular bureaucratic procedure. Planning also includes identifying the regional resources required for processing. For example; Canada and the USA accept refugees from Central Asia, such as Uzbekistan and Tajikistan, and schedule regular screening missions there. Australia does not have an intake from that region. Once a resettlement country has made a commitment to accept a certain group of refugees, it is extremely unusual for this commitment to change. All resettlement countries agree that refugees should be resettled where they have “nuclear family members” (relatives, in simple English), as this retains family unity and helps with integration. 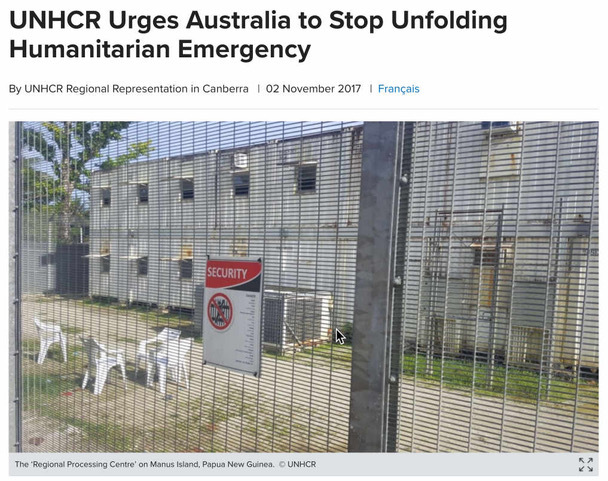 So both the UNHCR and the USA were extremely surprised that even men on Manus or Nauru who had wives, children, brothers or sisters in Australia are not being allowed to settle here. For processing to the United States, all refugees must be interviewed by US personnel to verify their refugee status. They are then subject to vetting and they are checked against data bases of multiple federal intelligence, security, and law enforcement agencies, including the National Counterterrorism Center, the FBI Terrorist Screening Center, and the Departments of Homeland Security, State, and Defense, to determine whether there are security concerns. As a side note, Rohingyas have inadvertently been one of the more problematic groups to process against these checks, because they share a very limited number of names. There is thus a good chance that their (shared) names will score a hit against a list of known undesirables. Another check is character. Any criminal convictions will result in an adverse vetting. If a refugee has a communicable disease (such as tuberculosis), chronic mental illness or substance addiction, a waiver has to be sought for their admission to the USA. The USA develops a resettlement pipeline such that there are sufficient candidates to meet quotas each financial year (for the USA the FY finishes at the end of September, hence the recent hurry to resettle the first 54 refugees – promised to Australia – before October 2017). In practice, the USA has always had trouble filling its total quota. Thus there are almost inevitably carry-over places available for all refugees who meet their criteria. In short, I am not concerned about the USA commitment to Australia to resettle as many of the refugees on Manus or Nauru as pass their vetting. They have not given an exact number because, until all checks are completed, they don’t know a final total. PM Malcolm Turnbull has quoted a figure of “up to 1250”. the fate of those who have been found not to be refugees. Iranians must be interviewed by their embassy in Canberra to determine whether their return is voluntary. (Iranian officials will not travel to Manus and Nauru and Australia refuses the refugees admission to Australia. Afghanistan does not accept unwilling returnees). 5 million refugees in the world (half of them under 18 years of age). Australia used to boast about welcoming migrants and refugees, absorbing their cultures and becoming a bigger and better nation because of them. In just two decades, we have trashed that great reputation and become known and emulated by right-wing regimes for our cruelty. Jennifer Ashton OAM, a Director of Civil Liberties Australia, is a former Director of Resettlement Operations for UNHCR, where she worked for the past two decades before retiring. In recent years, she has been recalled twice in emergencies to Geneva to direct planning/staffing for urgent Middle East relief projects set up by UNHCR. Earlier in her career she worked with the then AusAID and with Australian NGOs, including in Cambodia (work for which she was awarded the OAM). She was also based for two years in Myanmar on UNAIDS programs.